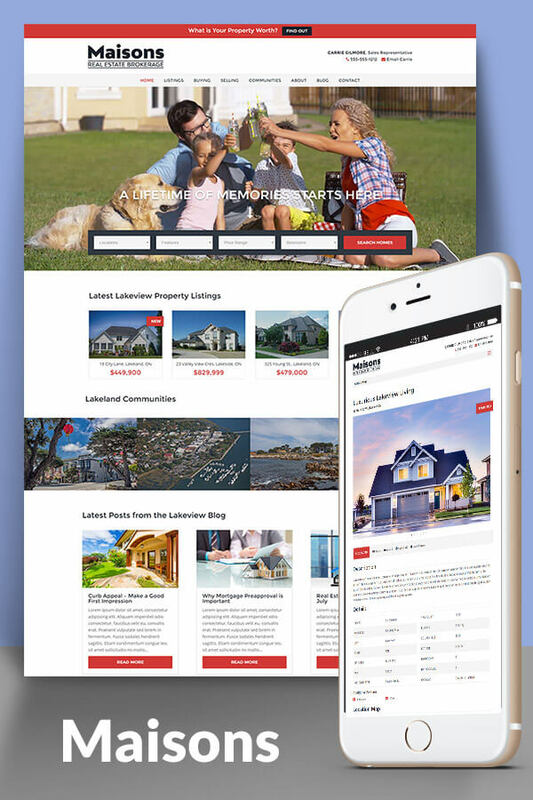 MAISONS is a premium Divi child theme designed for individual real estate agents. 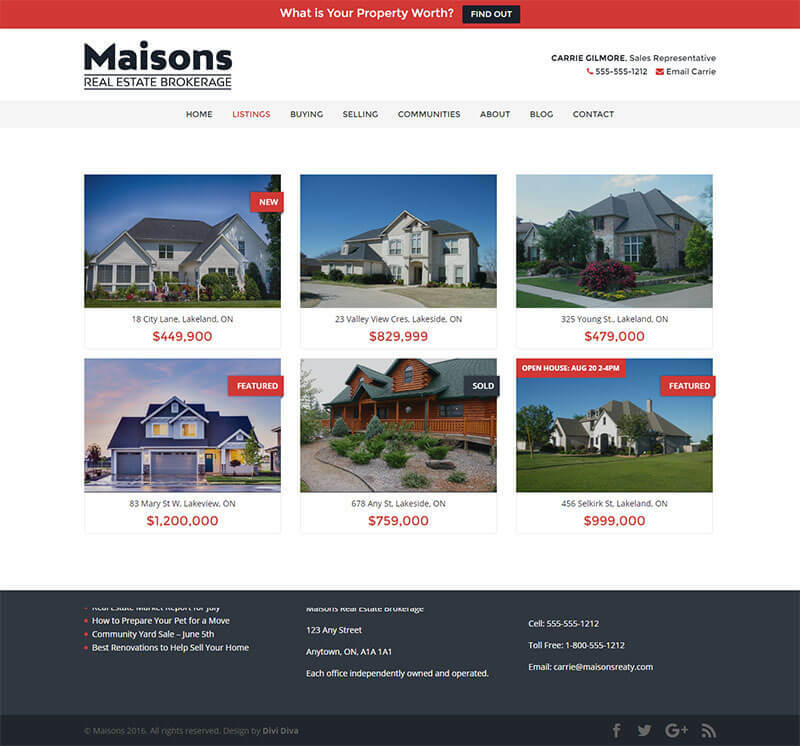 Maisons is integrated with the IMPress Listings plugin which gives you a custom post type to easily manage real estate listings in your WordPress dashboard. 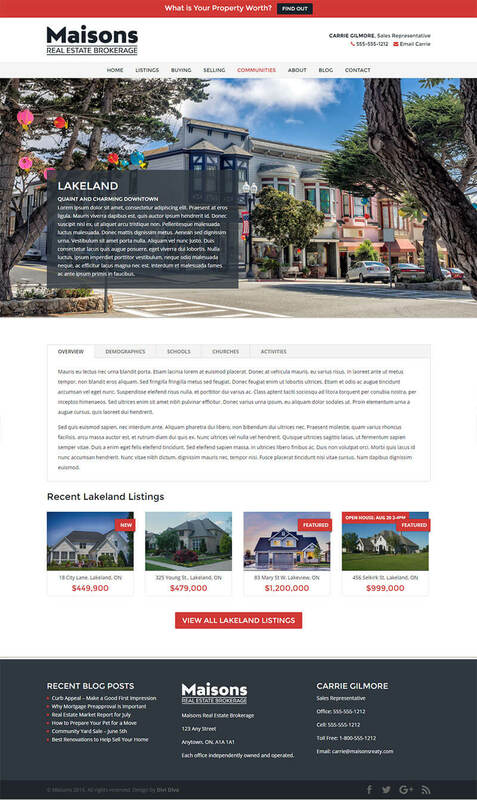 Attractive, responsive listing layout with integrated contact form will help attract buyers. 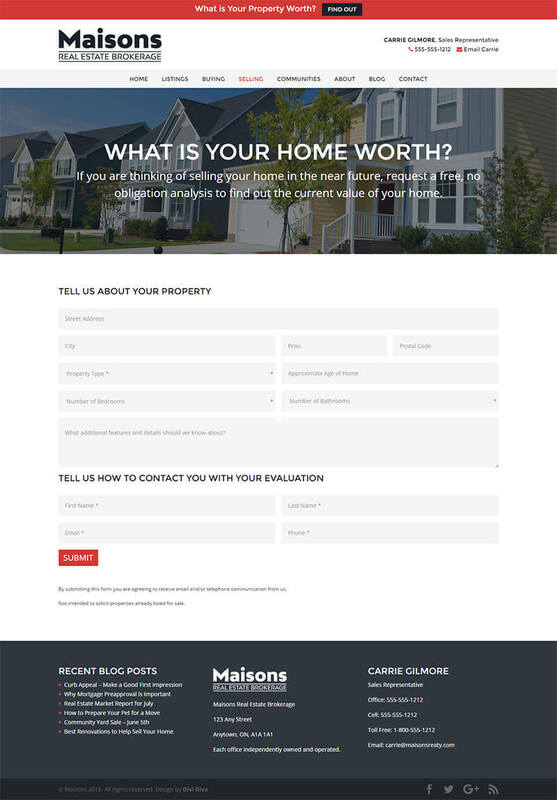 A distinctive call to action button linking to a detailed home valuation form will help generate leads from potential sellers. 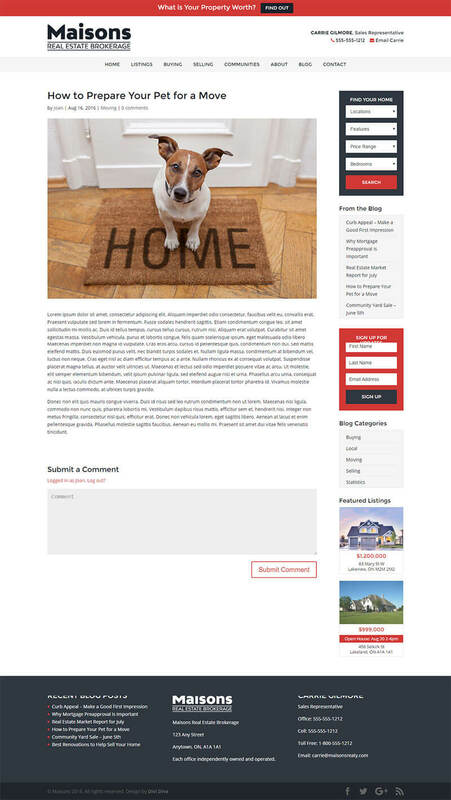 The Maisons child theme requires that you have the Divi parent theme for WordPress installed. It is not included with this product. Greetings! Is there a demo data we can use here? 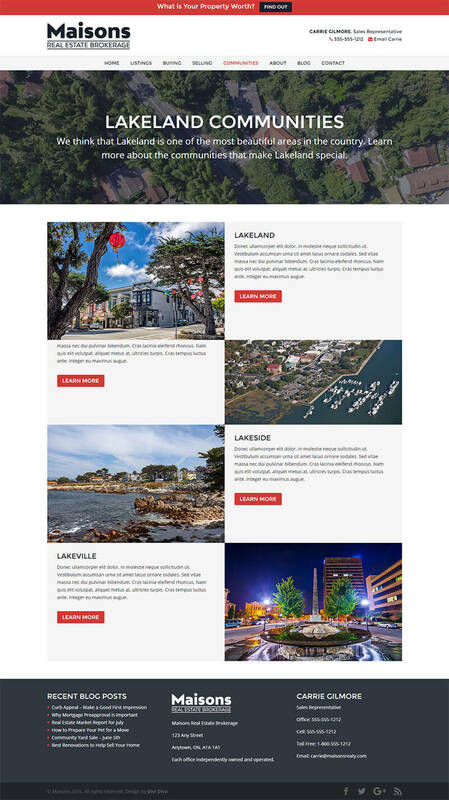 If so, the same info, images and looks like the demo site? 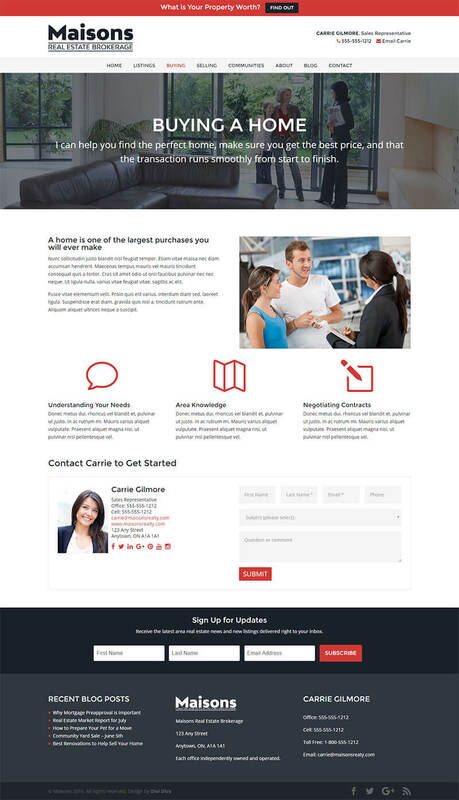 As the product description states, the demo images and video are not included – but otherwise when you import the demo data it will look like the demo site. I am very much interested in buying this child theme. My problem is I can’t find a tutorial in youtube for the IMPress Listings plugin. Can you please send me one? 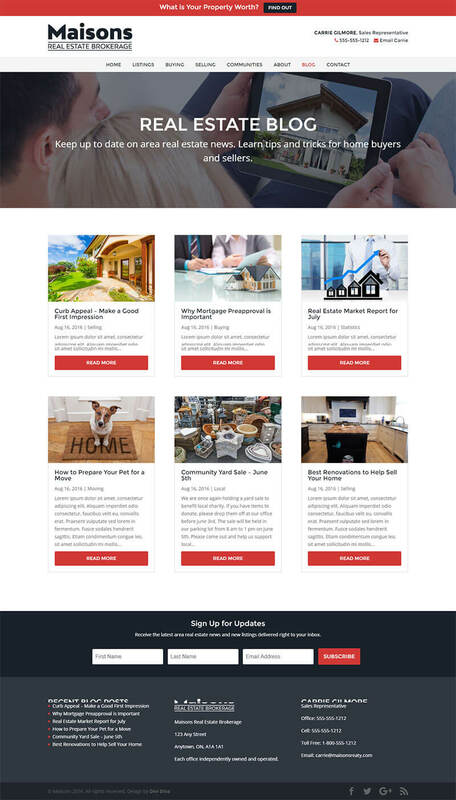 You can find support for the IMPress listings plugin here https://wordpress.org/plugins/wp-listings/ You can ask them if they have any video tutorials. I’m getting an “Error: Found (302)” Error when I try to Import Demo Data. Can the search be customized for home plans? 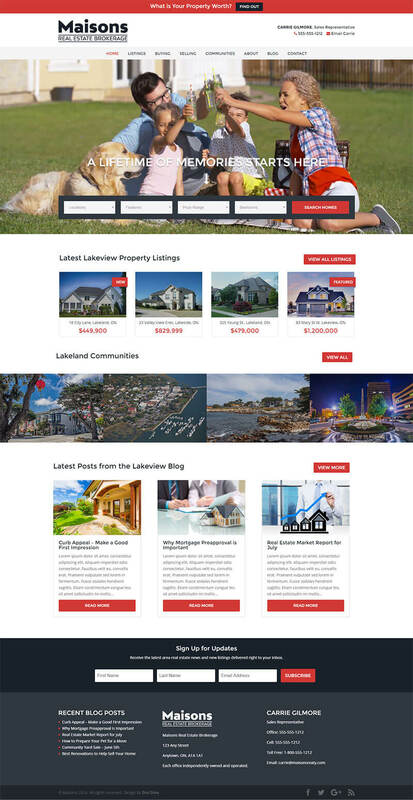 We are getting ready to set up our site for home plans for sale. does this come with psd’s? 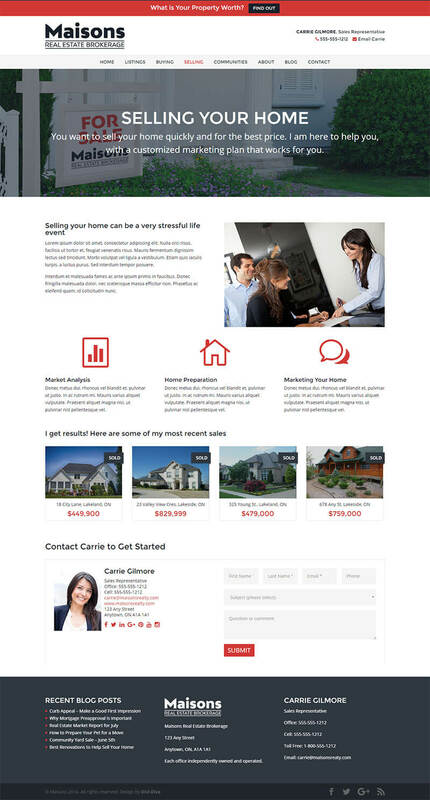 Please be aware that you will need an amount of experience in the Divi Theme and WordPress to take full advantage of our themes, if you intend to make style customizations, a reasonable knowledge of CSS is also required. 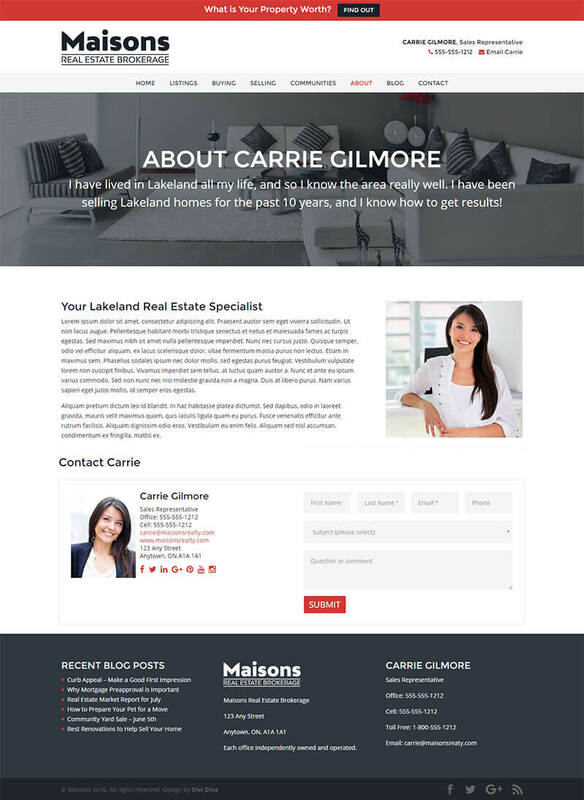 If you wish to change real estate terms used by the IMPress listings plugin, you will also need to be able to modify php files. Please make your decision to purchase based upon your skill level to see if our products fit your needs. Due to the nature of digital downloads, refunds are not available.